Both Phones come with Metal body and has a fingerprint scanner on the Rear. Honor Play has Notch Display which lacks in Mi A2. Mi A2 does not come with a 3.5mm audio jack. Honor Play has a 6.3-inch (2340 x 1080 pixels) Full HD+ LCD 19:5:9 Display compared to 5.99-inch (2160×1080 pixels) Full HD+ display on Mi A2. Honor Play is powered by Octa-Core Huawei Kirin 970 10nm processor compared to Octa-Core Snapdragon 660 processor on Mi A2 Mi A2 does not support Hybrid SIM. Honor Play has 3750mAh battery compared to 3010mAh Battery on Mi A2 Both supports Fast charging. The Honor Play comes in Midnight Black and Navy Blue colors, is priced at Rs. 19,999 for the 4GB RAM with 64GB storage version and the 6GB RAM with 64GB storage version costs Rs. 23,999. Xiaomi Mi A2 comes in Gold, Blue, Black. Xiaomi Mi A2 comes in Lake Blue, Gold, Rose Gold and Black colors is priced at Rs. 16,999 for the 4GB RAM with 64GB RAM version, and the 6GB RAM with 128GB storage version will be available soon.. 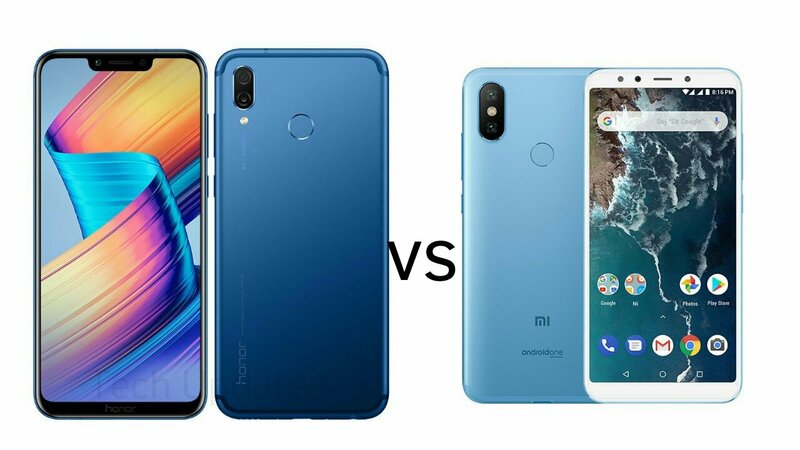 Honor Play has a flagship processor, Bigger Battery whereas Mi A2 has better cameras and Stock Android.